This article is about the people inhabiting Saudi Arabia. For people of ethnic-Saudi origin, see Saudis. This article is about the demographic features of the population of Saudi Arabia, including population density, ethnicity, education level, health of the populace, economic status, religious affiliations, and other aspects of the population. Saudi Arabia's population as of the April 2010 census was 27,136,977: 18,707,576 Saudi nationals and 8,429,401 non-nationals. About 51% of the population is under the age of 25 (as of Feb 2012). Until the 1960s, most of the population was nomadic or seminomadic; due to rapid economic and urban growth, more than 95% of the population is now settled. 80% of Saudis live in three major urban centers—Riyadh, Jeddah, and Dammam. Some cities and oases have densities of more than 1,000 people per square kilometer (2,600/mile²). Saudi Arabia's population is characterized by rapid growth and a large cohort of youths. Saudi Arabia hosts one of the pillars of Islam, which obliges all Muslims to make the Hajj, or pilgrimage to Mecca, at least once during their lifetime if they are able to do so. 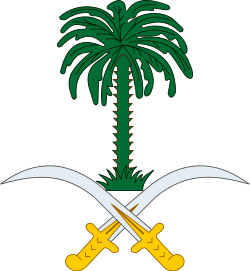 The cultural environment in Saudi Arabia is highly conservative; the country adheres to a strict interpretation of Islamic religious law (Sharia). Cultural presentations must conform to narrowly defined standards of ethics. Men and women are not permitted to attend public events together and are segregated in the work place. Most Saudis are ethnically Arabs, the majority of whom immigrated as pilgrims and reside in the Hejaz region along the Red Sea coast such as Jeddah, Mecca and Medina. According to a random survey, most would-be Saudis come from the Subcontinent and Arab countries. Many Arabs from nearby countries are employed in the kingdom. There also are significant numbers of Asian expatriates, mostly from India, Pakistan, Bangladesh, Indonesia, and the Philippines. In the 1970s and 1980s, there was also a significant community of South Korean migrant labourers, numbering in the hundreds of thousands, but most have since returned home; the South Korean government's statistics showed only 1,200 of their nationals living in the kingdom as of 2005. There are more than 100,000 Westerners in Saudi Arabia, most of whom live in private compounds in the major cities such as Riyadh, Jeddah, and Dhahran. The government prohibits non-Muslims from entering the cities of Mecca and Medinah. Estimates of the young population of Saudi Arabia vary. Carlye Murphy gives the figure of 51% of the population being younger than the age of 25 (as of February 2012). The Economist magazine estimates 60% of the Saudi population younger than the age of 21 (dated March 3, 2012). The ethnic composition of Saudi citizens is 90% Arab and 10% Afro-Asian. Saudi Arabia's Central Department of Statistics & Information estimated the foreign population at the end of 2014 at 33% (10.1 million). The CIA Factbook estimated that as of 2013 foreign nationals living in Saudi Arabia made up about 21% of the population. Other sources report differing estimates. There are around 100,000 Westerners in Saudi Arabia, most of whom live in compounds or gated communities. The government does not conduct census on religion, but estimates put the percentage of the majority Sunnis at 85–90% while Shiites, who comprise the largest Muslim minority, at 10–15% of the population. Shiites (Twelvers) are primarily concentrated in the Eastern Province, where they constitute over two-third of the population. Other smaller communities (Ismailis and Zaidis) reside in the south, with Ismailis constituting around half of the population of the province of Nejran, and a small percentage of the Holy Islamic cities of Mecca and Medina. There is also a Christian population of uncertain size. According to Gallup atheists account for 5% of the population with a total non-religious population of 19%. 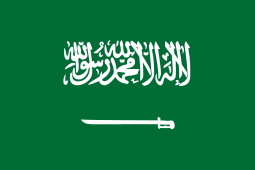 The official language of Saudi Arabia is Arabic. Saudi Sign Language is the principal language of the deaf community. The large expatriate communities also speak their own languages, the most numerous of which are Indonesian (850,000), Filipino/Tagalog (700,000), Rohingya (400,000), Urdu (380,000), and Egyptian Arabic (300,000). ↑ "Saudi Gazette: Nov. 24, 2010 – Census shows Kingdom's population at more than 27 million"
1 2 Murphy, Caryle. "Saudi Arabia's Youth and the Kingdom's Future". February 7, 2012. Woodrow Wilson International Center for Scholars' Environmental Change and Security Program. Retrieved 13 May 2014. ↑ House, Karen Elliott (2012). On Saudi Arabia : Its People, past, Religion, Fault Lines and Future. Knopf. p. 69. ↑ Siraj Wahab (30 July 2009). "It's another kind of Saudization". Arab News. Retrieved 13 January 2011. ↑ "President Roh Moo-hyun's Official Visit to the Kingdom of Saudi Arabia". Cheongwadae (Office of the President), Republic of Korea. 2007. Retrieved 2007-04-23. ↑ "United Nations Statistics Division - Demographic and Social Statistics". Retrieved 29 January 2016. ↑ "Demographic Yearbook". UN Data. United Nations. Retrieved 4 December 2015. ↑ "World Population Prospects - Population Division - United Nations". Retrieved 29 January 2016. ↑ "Saudi Arabia - Life expectancy at birth 2016 - countryeconomy.com". countryeconomy.com. Retrieved 29 January 2016. 1 2 3 "Middle East :: SAUDI ARABIA". CIA The World Factbook. ↑ جريدة الرياض. "جريدة الرياض : سكان المملكة 27 مليوناً بينهم 8 ملايين مقيم". Alriyadh.com. ↑ "Global Index of Religiosity and Atheism" (PDF). Gallup. Retrieved 2013-08-06. ↑ "A surprising map of where the world's atheists live". Washington Post. Retrieved 2014-05-18. ↑ "Atheism explodes in Saudi Arabia, despite state-enforced ban". Salon. Retrieved 2014-06-14.